The Challenge of the Untouchable Aliens! Another 100-page special issue featuring numerous stories and characters. 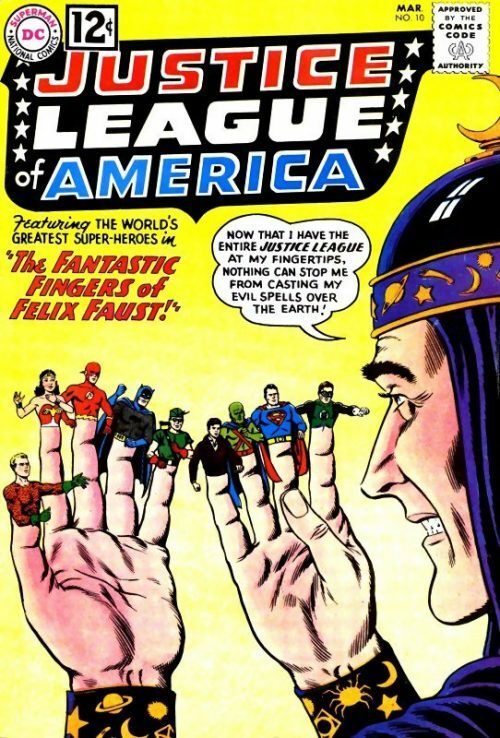 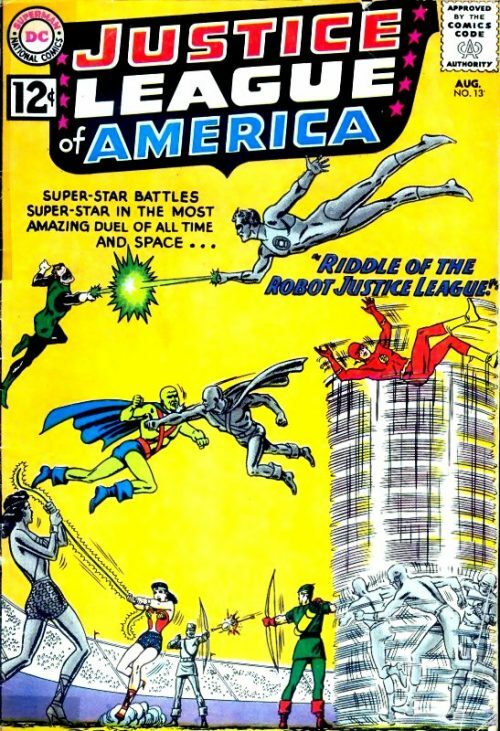 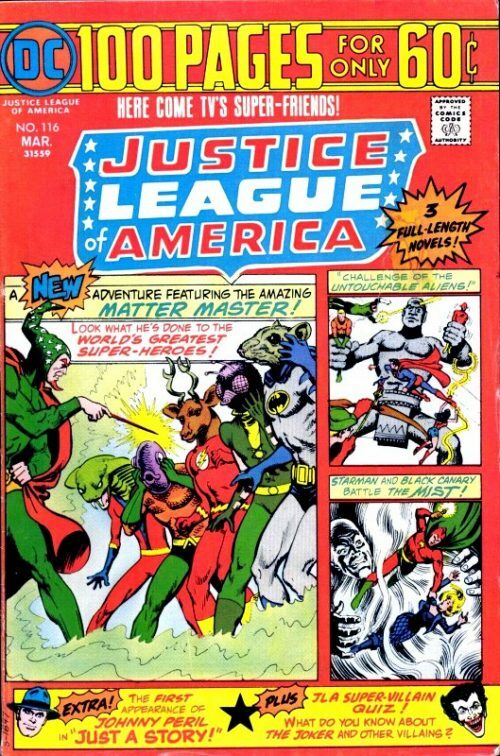 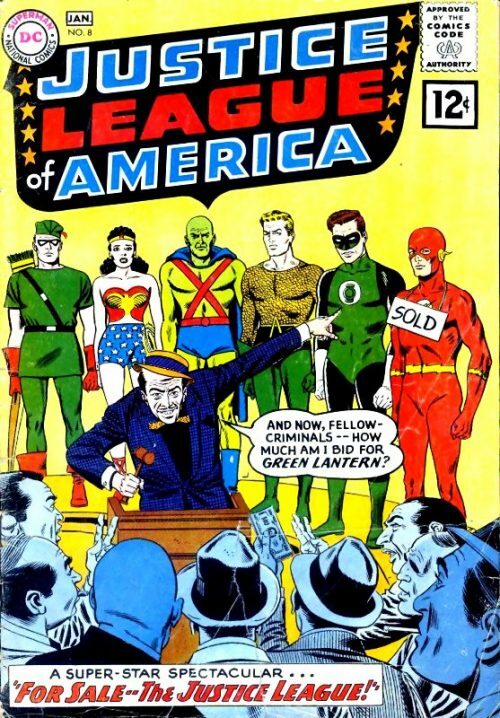 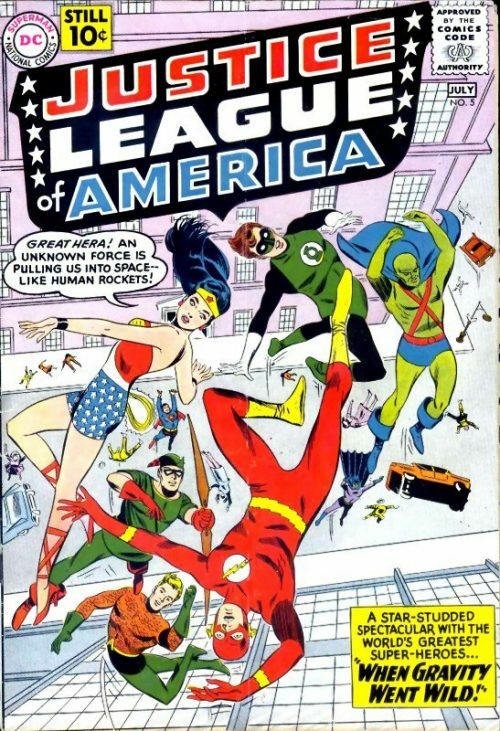 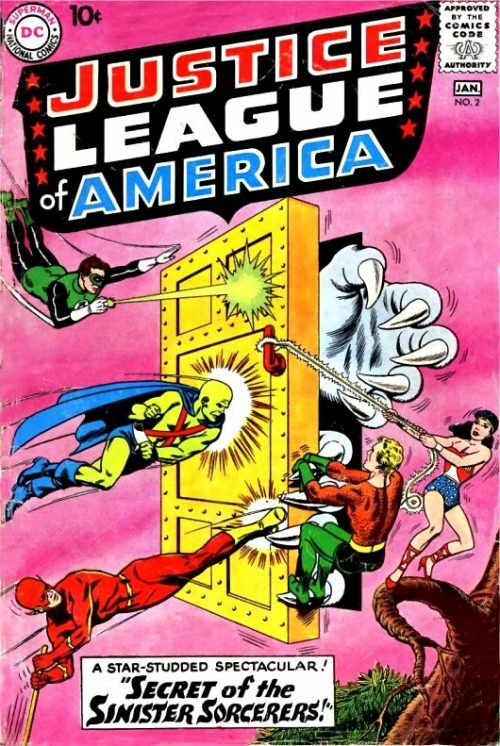 Wonder Woman only features in the second JLA story which is a reprint from Justice League of America issue 15. 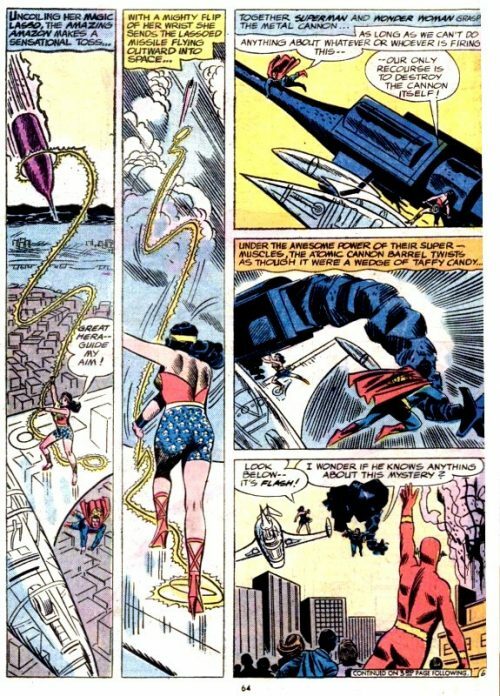 Superman and Wonder Woman save the Satellite Sky Fortress, and The Flash sees its cannon aiming at a skyscraper in Central City. Superman and Wonder Woman destroy it, and they summon the Justice League. 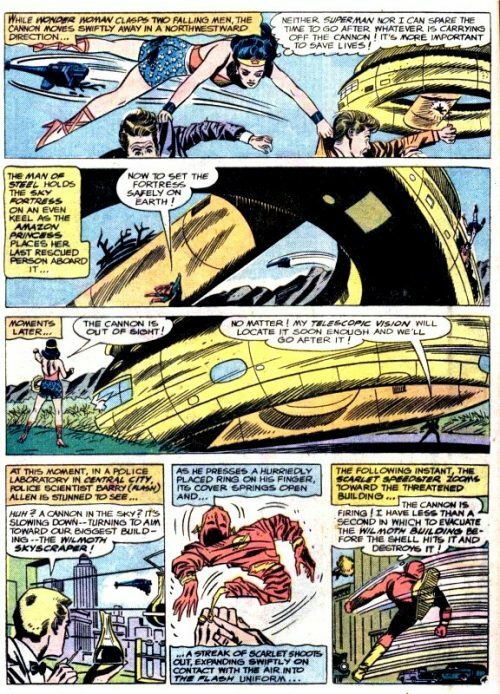 Searching the world, they find stone giants that can’t be touched.